There is nothing that comes close to silver for supply/demand dynamics, investment fundamentals, investor participation ratios, fraud/manipulation realities, monetary importance or national security issues. All of these support a hyperbolic move to the upside for the price of physical silver in the near future. 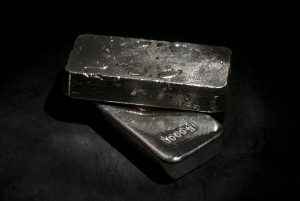 Buying physical silver can completely change your financial reality. This doesn’t mean there will never be an appropriate time to sell physical silver. The cardinal rule of smart investing is not to get too emotionally attached to your investments, and to rationally think through your investment reasoning. After outlining your reasons for investing, you can keep track of whether or not those reasons are still valid. In that spirit, Weir has listed the 20 issues he monitors with respect to investing in physical silver.